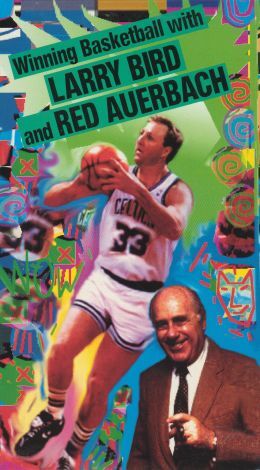 Winning Basketball with Larry Bird and Red Auerbach brings together two NBA greats to provide a complete guide to teaching children the basics of the game. This video is packed with tips from legendary coach Red Auerbach, the Boston Celtics' Larry Bird, and fellow Celtics Dennis Johnson and Kevin McHale, as well as other team members. Demonstrations simplify the dynamics of the game for aspiring players who want to learn from the pros how to handle the ball, shoot, rebound, and play defense. These strategies and drills are useful for improving the skills of players at all ability levels. In addition to offering thorough instruction, the video includes exciting footage of Bird's best plays.